The new age of upscale catering has arrived, and there is an astute focus on creating an experience that is equally casual and exquisite. From seamless service to impeccable details, high-end catering delivers a rich, indulgent experience that truly elevates your event. Culinary artists Josh and Whitney Deri are transcending the rules of the catered experience, exploring new bounds in fusion and taking risks to unlock the delectable, luxurious transience of a perfect meal. Classically trained at the Culinary Institute of America in New York City with experience in premier restaurants in Napa Valley and San Francisco, this outrageously talented couple expresses their enthusiasm with every dish and is committed to making every meal a personalized, memorable experience. From the very beginning their mission was to expand into a limitless catering company that is as tasty as it is inventive. Their story begins with a food truck, formerly titled Dough. They dreamed of breaking culinary rules in the name of phenomenal food. Ultimately, they wanted to create memorable meals tailored to the unique vision of every client. They quickly outgrew the food truck atmosphere and transformed into the wildly capable upscale catering company, Blend. From international flavors to hometown favorites, modern twists to comfort-food classics, Josh and Whitney began crafting inspired menus and spearheading the local fine catering arena. It wasn’t long before they needed a bigger creative space, and took over One World Kitchen, a local commercial kitchen. Josh and Whitney take excellence seriously, and this is evident in every element of their culinary process. Whether they are foraging for mushrooms with impressive accuracy, or gathering fresh ingredients from their garden, this culinary couple knows how to amalgamate local, seasonal ingredients to enhance flavor beyond measure. Weddings are a particularly inspiring time for them, and Josh and Whitney believe that the menu is an opportunity to show off your personality as a couple. 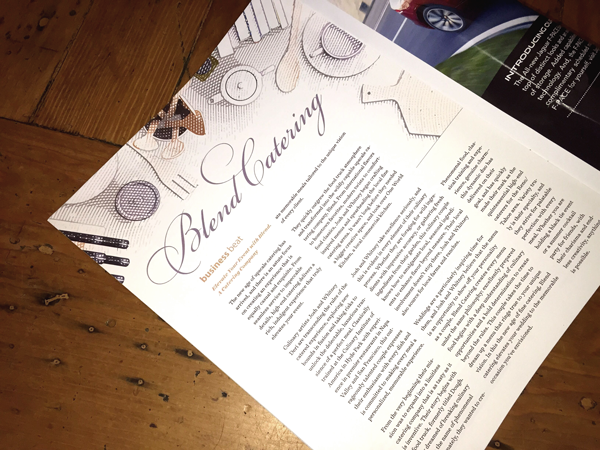 Blend Catering creates every menu under the same philosophy: excellently prepared food begins with a deep understanding of culinary opportunities and a bold determination to create beyond the rules. This couple takes the time to dream up a menu that rings true to your unique vision. In this the new age of fine catering, Blend catering elevates your wedding to the memorable occasion you’ve envisioned. 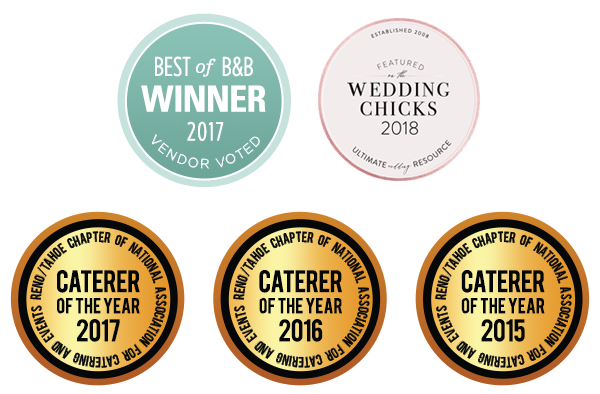 Phenomenal food, classical training and experience, genuine charm– this dynamic duo has delivered on their goal, and has quickly made their mark as the quintessential high-end caterers for the Reno/Tahoe area. Variety truly is their specialty, and they strive for palatable perfection with every meal. With their charisma and endless creativity, anything is possible.